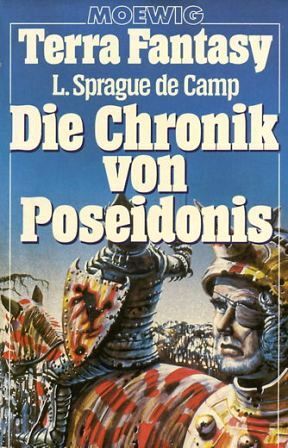 A reprint of the 1978 Pabel edition. By mistake the interior art had not been part of the 1978 paperback edition. The error was corrected in the reprint dated September 1980, and by then editor Walker had also published them in his magazine Magira. Translated by Helmut Pesch, Susanne Matthaey, Michael and Liane Fritz, and Lore Strassl. The cover artist is not credited, only the agency "Vega". Other prices: S 45 (Austria), L 5,800 (Italy).